Exploring the history of Computer and Console Gaming. 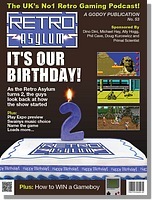 Retro Asylum Podcast is celebrating it’s two year anniversary with their recently released 53rd episode. Ep Swainy and Andy, tell you what we been up to and what we’ve been playing. The lads also take a look back at how they started on the show and how our gaming habits have changed over the last 2 years. The winner of the PS1. How to win the Gameboy. Plus loads more Retro Gaming related fun and game. Download or stream this episode here. 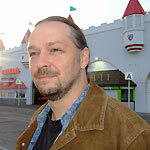 This entry was posted in All, Podcast, Retro and tagged Podcast, Retro by Chip Hageman. Bookmark the permalink.